A TRAP FOR THE UNWARY? Is the photograph introduced by your adversary real or altered? The answer may depend on if the photograph was taken by a digital camera. This article discusses digital cameras, their impact on civil and criminal fire cases and calls for image authentication before digital images are displayed before a jury. Many believe an expert’s verbal opinion about what happened at a fire loss supported by "authentic" photographs, results in pleas of guilty in criminal cases, or settlement in civil cases. That conclusion may be harder to substantiate with the introduction of digital photography. Fire scene photography should assist in the search for the truth about the cause and spread of a fire. Accurately documenting the fire scene investigation promotes fundamental fairness for all involved parties. When digital images are altered, they became a version of what one party believes existed at the fire scene. Those digital images are not "real" nor are they "trustworthy." Digital image alteration is the antithesis of the search for the truth. Courts must be skeptical of admitting altered digital images because they are not "authentic" evidence as are traditional photographs. Traditional photography requires film and chemicals to create images. The camera takes the picture and the image is transferred to the negative. Prints are made from the negatives. Traditional photography has been subject to claims of alteration. Do you recall the Popular Science’s cover showing an F-15 flying over the Kremlin? Nevertheless, an original negative can be examined to determine if the photograph has been balanced, cropped, sharpened, etc. Electronic imagery is used by digital cameras. Visual images are captured and stored electronically. Electronic information comprises the visual digital images. No film or paper is used in capturing digital images. Those digital images are reproduced instantly. Digital images do not degrade. 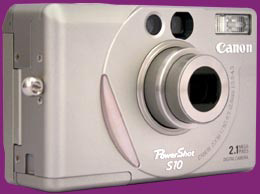 A digital camera contains a sensing apparatus. The camera calculates and assigns numeric values to each pixel. The resolution of digital images are indicated by numbers. The higher the number the better the resolution. The numbers are identified as pixels or PPI (pixels per inch). Higher resolution images offer finer details and appear sharper. The sensing apparatus provides a pixel grid of the image. Each discrete cell is assigned a numeric value. The digital image is then recorded directly by mapping the grid. 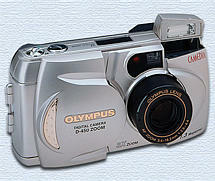 A digital camera contains random access memory (RAM). When the maximum number of RAM is used by the number of digital exposures taken, RAM must be restored. That can occur by erasing images, installing new RAM, or downloading to a computer. Under the Federal Rules of Evidence, a photograph can be admitted into evidence if it is a fair representation of what it shows and relevant to the issues disputed in the case. In California, the rule is the same as long as the photograph is a fair, accurate, true or good depiction of the object or scene at the relevant time. Traditional photographs depict the scene/object as it actually was when the picture is taken. (d) the picture is a fair representation of the object/scene at the relevant time. A photocopy of a traditional photograph degrades after each copy. A copy of a photocopy is even of a lower quality. However, digital images can be reproduced without degrading them. Each copy of a digital image is not distinguishable from the original. If a traditional photograph is altered, the original photograph or negative exists to reveal the later alteration. That rule does not apply to copied digital images because they are not normally distinguishable from the "original" image. Thus, trial objections to the introduction of photographs will be difficult to make if a party does not know the photographs are digital images. Federal Rules of Evidence 403 and California Evidence Code Section 352 exclude evidence if the probative value is outweighed by a danger of confusing the issues or misleading the jury. Digital images not authenticated are inherently confusing and prejudicial. Such images are not reliable because the underlying data comprising the digital image is not proven to be accurate. Those opposing digital images should establish the digital images are not reliable without image authentication. Digital images are fraught with the potential for undetectable manipulation to achieve the "right answer." Consequently, the images are misleading and will confuse the jury about what actually happened. Digital photographs look like traditional photographs when printed, displayed on a monitor or projected on a television. Jurors react with the same trust to digital photographs as they do to traditional photographs. Jurors believe that what they are seeing actually existed at the fire scene. Unfortunately, because computers can easily re-touch, enhance, manipulate a digital image, change the color of objects, items closed can be open, remove items from the scene, or insert items that did not exist at the fire scene, great caution should be followed before admitting digital camera images as real evidence in a court proceeding. Traditional photographs are also subject to alteration. Nevertheless, there is an "original" photograph. Digital images can be easily modified by anyone with a home computer. Recall a digital photograph is a collection of numbers from a computer. There are several million digits reading either "1" or "0." As such, numbers may be replaced, added, or removed. Small portions of the photograph can be adjusted and are impossible to detect without comparison to the original digital image. Consequently, traditional courtroom admissibility concerns are enhanced, because of the very real concern of manipulation of digital images. Digital images can be copied repeatedly and distinguishing a copy from an original can be impossible. If a "prepared" witness lays a "foundation" for an altered digital image, a court will be hard pressed to exclude that evidence, based on the current Federal Rules of Evidence and state courts’ evidence rules. As noted above, digital photographs pose serious risks to our judicial system which originally accepted "traditional" photographs under the assumption that the item actually existed at the scene when photographed. Today, that "assumption" should not apply to digital photographs. The standard foundation for a traditional photograph does not adequately address the digital image alteration issue. One commentator suggests all digital images should be "conspicuously labeled." This provides the viewer and other party a "warning" that the image may be not "accurate" or "real." That suggestion fails because it relies on the party taking the digital image to disclose it. Technology provides a new mechanism to address this problem. That solution is digital image authentication. EPSON has introduced authentication software that operates within the camera. Images can be authenticated via a small software program on a PC. All images with an EPSON camera with IAS installed will automatically be embedded with digital authorization. The computer connects by a serial port to an EPSON digital camera. Initially, the software is loaded once in the camera with an encrypted key added to each digital image. Operation of the system is invisible to the camera operator and automatic. The computer compares the image loaded from the camera, to see if it has been altered. EPSON contends changing one single pixel will cause the image to fail authentication. This system works with EPSON’s Photo 850Z, PC 800, 750Z and 700. The original estimate by Epson indicated it would take 330 years to forge an image embedded with an IAS fingerprint. Newer EPSON web material omits a time estimate to forge an image protected by the system. This authentication system presents the latest technological advancement to address digital tampering. Kodak offers a digital point and shoot camera system that relies on standard operating procedures (SOP’s), unalterable media storage and a separately managed index to address image integrity. Commentators suggest that writable CDs be used to store digital images. Those discs are to be non-erasable. Writable CDs are created by permanently altering the discs with a laser light beam. CD writers cannot delete laser marks. CDs should have serial numbers to avoid claims of substituted discs. Kodak writable CDs have embedded serial numbers readable by machines and operators. The SOP should include information about the image's creation. Strict custody over the image records is necessary. That would include a separately managed index. An audit trail of the captured images is also important. However, Kodak's system does not place a "fingerprint" on each photograph as EPSON does. Therefore, it is less secure. Additionally, EPSON's image is authenticated from the time the picture is captured. NFPA 921 - The Guide for Fire and Explosion Investigations, Section 8-2.2.1.1 does not address digital images under its discussion of cameras. This author has proposed adding to that section: "Care should be taken in using digital cameras to record a fire scene. 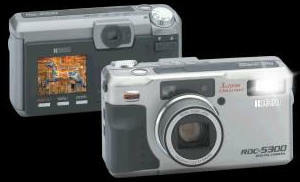 Digital cameras record images electronically. However, those images can be altered or enhanced by computer software. Thus, those images may not be as trustworthy as traditional photography without an image authentication system." Altered digital image evidence turns judicial proceedings into a "battle of wits rather than a search for the truth." Court trials should be a fair contest not a "game of blind man’s bluff." By ensuring digital images are authentic, we promote correct courtroom decisions. The proponent of a digital image must be made to show it is authenticate. That result follows because his client possesses the information about how the image was captured, what equipment was used, and all relevant information as to its authenticity. The opponent of the digital image does not have equal access to that information. The proponent’s advantage is significant and can increase its likelihood of prevailing at trial if image authentication is not enforced. As one court noted about court trials, all investigators, parties and counsel should recognize we are "servants of the law rather than servants of the highest bidder. We must rediscover the old values of our professor[s]. The integrity of our justice system depends on it." So too does the integrity of your scene investigator. Digital photographic images offer benefits to include ease of electronic transfer and storage. However, those same digital images without an authentication system, pose a great risk to our judicial system. Our system of justice depends on authentic evidence. Altering digital images does not assist the fact finder in reconstructing what happened at the fire scene. Technology which enhances passing off altered digital images as real evidence, strikes at the core of our judicial system. Let’s make sure digital images reflect what was really at the fire scene, promoting equal access to justice. Not the wishful creation of an interested party. Failure to address this digital authentication issue now, opens a "Pandora’s Box" for junk science to enter our courtrooms.